Just the other day, I posted about a few of the things that I have learned because I have lived in Manila for 10 years now. Of the many gifts I have received from my life here in Manila, one thing is for sure. 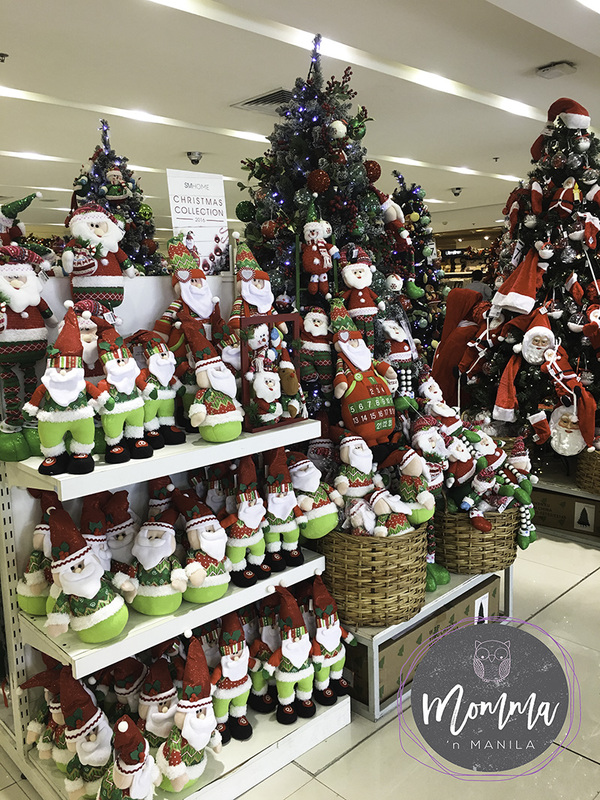 Christmas and the season of giving begins in early September. The year after we moved to Manila, I remember killing time in one of the stores in a local mall. I remember the date clearly. It was September first. I was looking for a gift for Nino’s nephew in one of the local clothing shops because I had asked his mom what he needed for his birthday. I had a little less than a week to prepare what I would choose for him and wrap it so that we were ready for his simple birthday celebration. Truth be told, I have not always enjoyed the fact that Christmas is four months long. In the beginning years of my residence here, I wanted to enjoy all the holidays BEFORE Christmas. I didn’t want to push Halloween or Thanksgiving out of the picture and put my tree up too early. 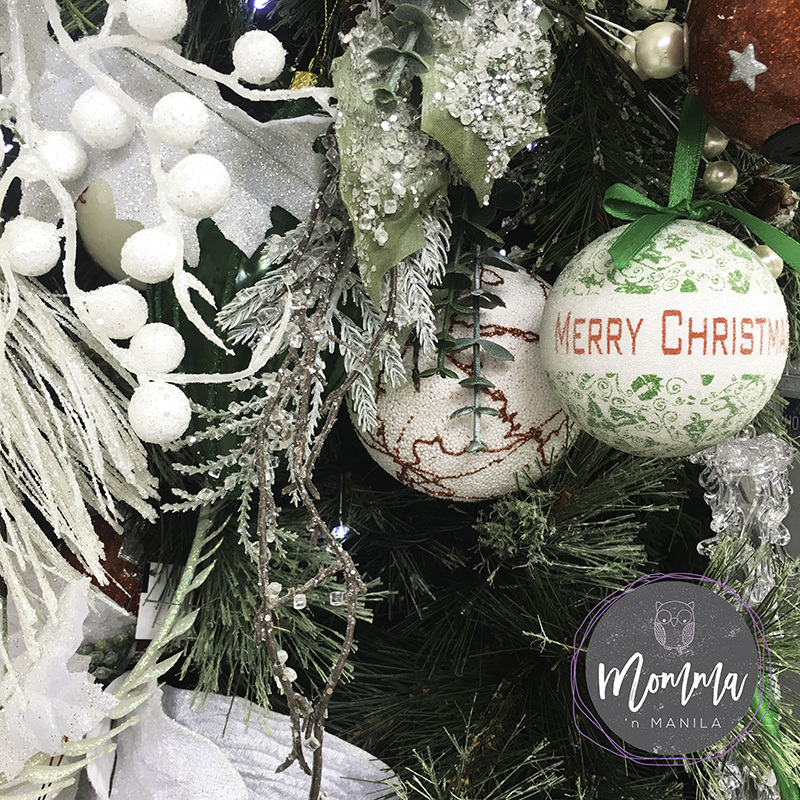 I wanted to relish in the days that led up to Christmas because it builds the excitement and it’s in the preparation that we create memories for our children as well. But as the years have passed, I have embraced the idea that Christmas can come earlier than December 1st. I have made it my mission to now have my tree and decorations up BEFORE the day that we celebrate our make shift Thanksgiving. After all, who doesn’t love taking photos in front of a tree that’s brimming with lights, shiny ornaments, and memories? I love what some of my friends do to make the most of their Christmas Tree and decorating. Two of my friends who are lovely homemakers and women I look up to because they keep such a lovely home. Isn’t this tree so cute? And how easy is it for my friends to transition from Halloween to Christmas by simply removing all the ornaments and replacing them with shiny silver and gold ornaments to welcome the next holiday? My Christmas Tree is the same Christmas Tree I have had since Nino and I first got married. It was a sound investment all those years ago. It came with us when we left New York, and traveled across the sea to find its home here in Manila. We have taken many a Christmas photos in front of this tree, and I’m sure if trees could talk, it would have some beautiful stories to tell. Recently, when I visited SM Home, I got to thinking that maybe my tree could use an overhaul or a sprucing up of sorts. I have had a few different themes as the years have passed. From the hand made ornaments of the kids, to the angels which were given to me by Nino’s family, and as of recent, I have enjoyed using jewel tones to adorn our tree and home. I wanted to buy SO MANY THINGS! I think these are the fun ornaments that I would like to add to my jewel toned happy tree. 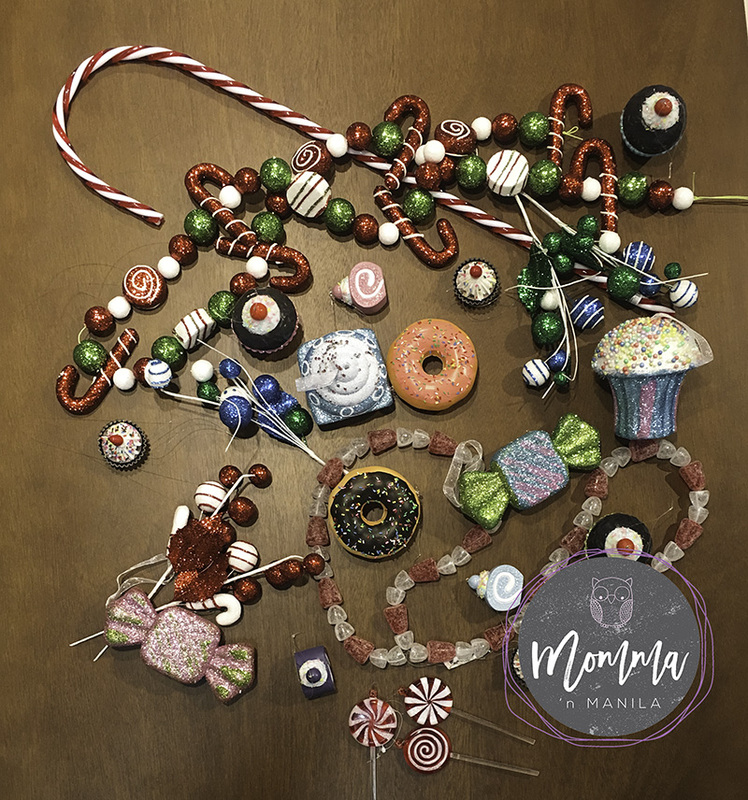 Ornaments, garland and decor in this flat lay range in price from Php99 to Php399. 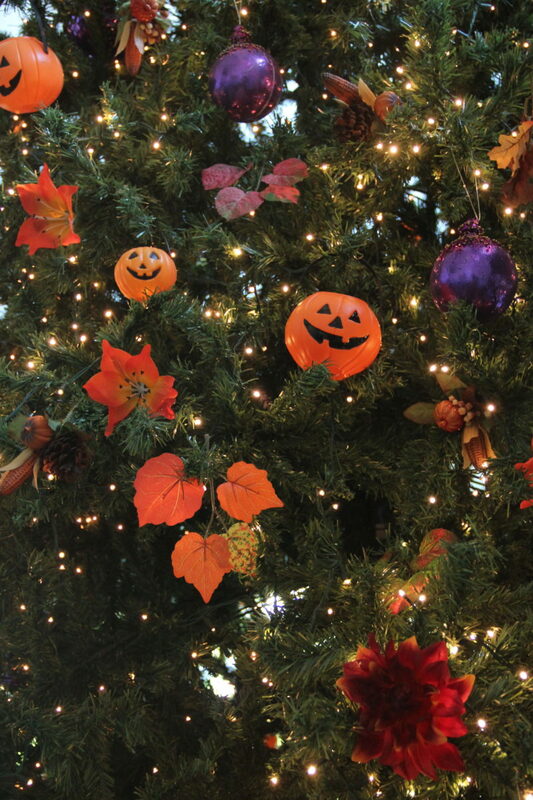 Come to think of it, I think my friends Karen and Kaye can even use ornaments like these for their Halloween tree as well! The candy theme is just so cute, I can’t take it! Growing up, my mom changed the theme of our tree a few times. I loved decorating the tree with my mom, and looked forward to that time because we would put Christmas music on and she would make hot chocolate for us. But my most favorite theme for my mother’s tree was white and gold. I remember the year she changed it over, she made each of the little bows by hand. I was amazed at how creative she was, and I would lay for hours on the sofa with the tree lit up in all of its splendor. It was calming for me to sit there…even now, I enjoy sitting in the dark room only lit by way of lights weaved carefully through each branch. 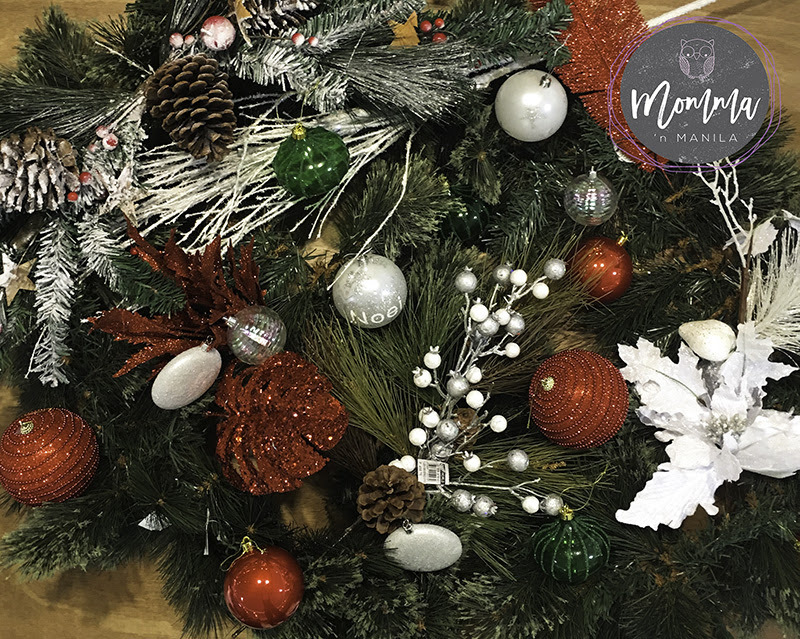 This set of ornaments and decor reminds me of my mother’s tree when I was growing up. I have added some silver in and even some bronze pics. Choosing these ornaments to put together for a flat lay made me nostalgic. I was thinking of my mom, and wishing we could be together for Christmas. 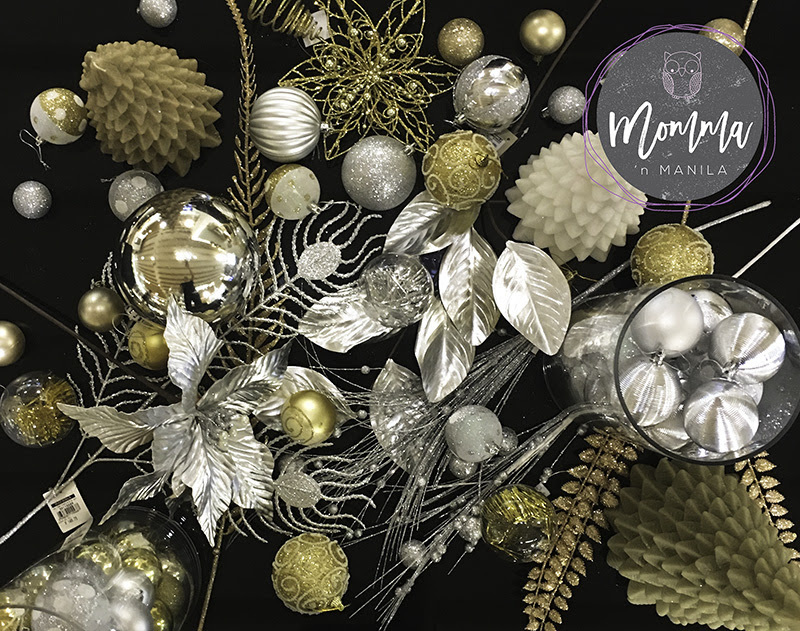 Ornaments, garland and decor in this flat lay range in price from Php 49 to Php 1699. 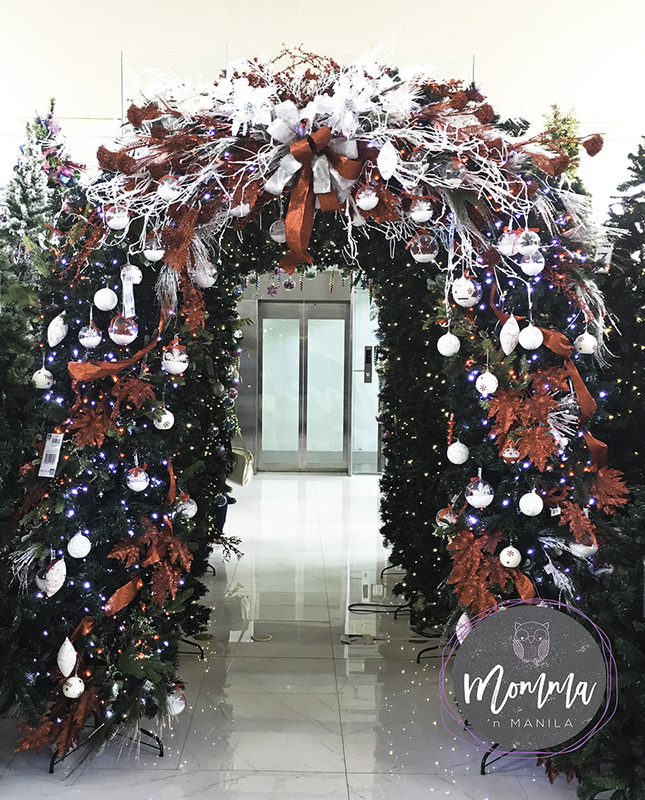 So when I was thinking of what to include in this post, I had quite a few ideas how to kick off the posts that welcome Christmas here on the blog. And as I was taking photos, the idea came to me that I should either make over my tree or refresh the look of my home. Being pratical, I’m thinking I will just refresh some new ornaments on our tree and keep the sentimental ones well, because they are sentimental. But I think if I was to start over from scratch, I would also consider the traditional colors of red, green, and white. It reminds me of my Italian heritage. It’s classic. And I can choose to go playful or a little more fancy depending on what SM HOME has on the shelves for me at the moment. I rather like what I came up with. What do you think? I’ve been working on my flat lays, and working on my styling. The other thing that really made it easy for me to put together these flat lays for you, was the help of the sales girl. She was even helpful in choosing different pieces that would compliment one another. I know that SM HOME also offers this kind of service as well. If you need help, they can assist. 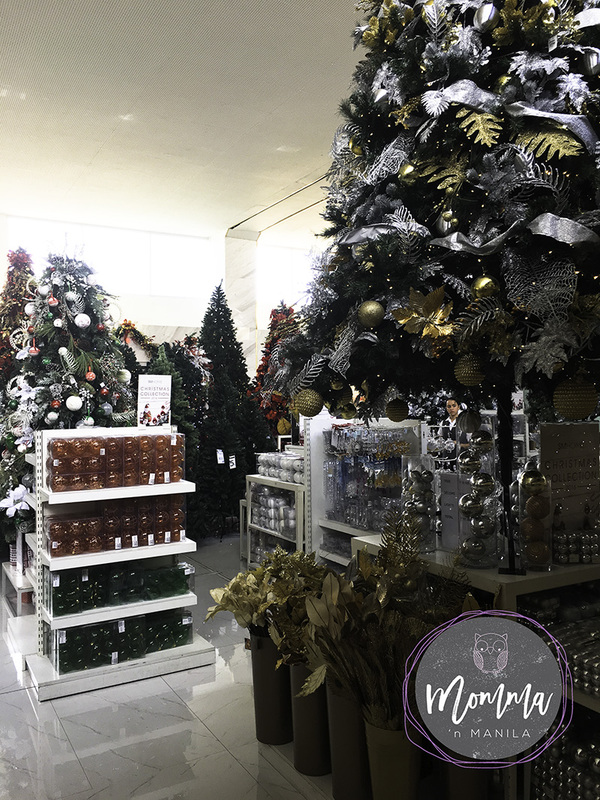 Not just in choosing your decorations, ribbons, ornaments and all things shiny, silvery, and gold, but even in choosing the right tree to start with. 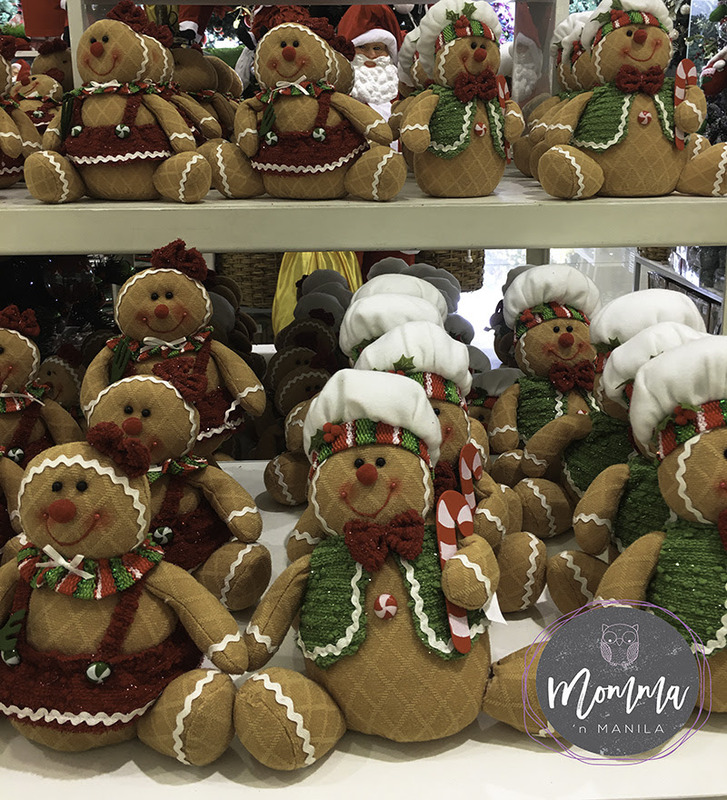 How Cute are these gingerbread men? Perfect for a Cookie Swap! But if you ask me, I prefer to pick everything up (perhaps with some help from the sales girls) make it a mish mosh of fun, cute, and playful things (because my kids are still young) and then I like to bake some cookies throw on some Christmas tunes, and have the kids help me trim the tree so we can welcome Baby Jesus and the spirit of Christmas into our home. I’ve been a good girl this year. I hope Santa remembers me! 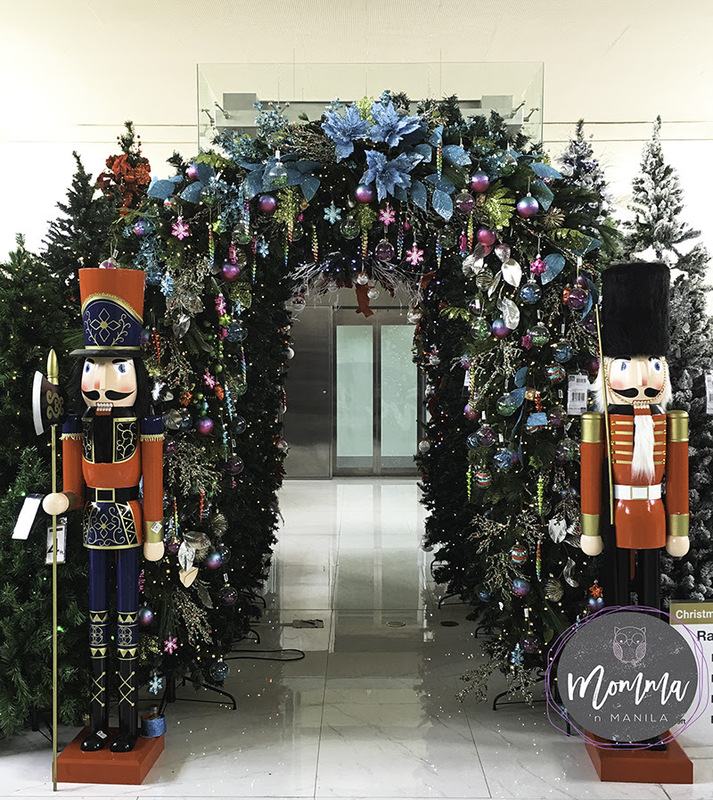 No matter if it is Christmas Decors or something for the home, I know, if I can take my time, I can come up with something creative to give the perfect hostess, the best teacher, the most caring yaya, and even my girlfriend who loves cooking. 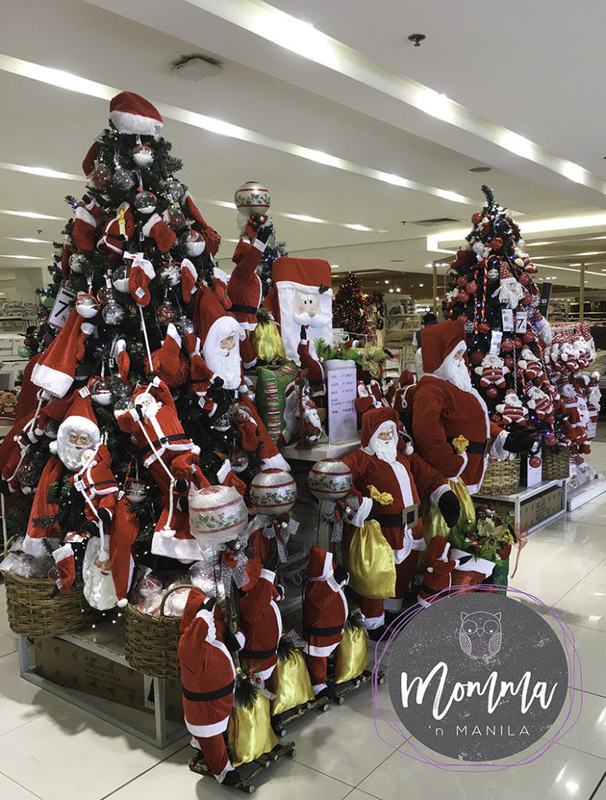 I love it even more that I can pick up all these fun items in one stop at SM HOME. Plus, when they have their sales, it’s so hard to resist. They make it so easy. EASY PEASY is my motto. How do you decorate your home for the holidays? Do you decorate in all one theme? Is your tree matchy matchy with the rest of your home? Do you change decors yearly? Or are you like me, keeping some very sentimental pieces and adding others to the collection?